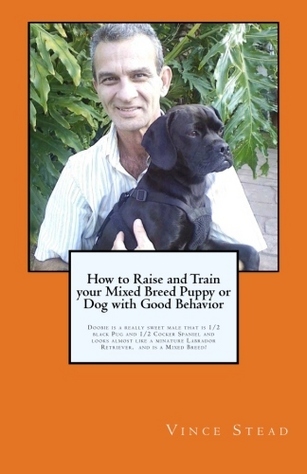 These are some pretty cool books for training and understanding your puppy or dog. You can get them at Amazon and Barnes and Noble for only $2.99 and also do a search for Vince Stead for other breeds also. If you want to learn hot to stop your dog from digging holes, or barking more than they should, or how to socialize your puppy the right way, and more.......check them out. Learn how to stop your dog from bolting out the door on you, and find if if rawhide treats are really good for your puppy or dog? Learn the 5 different types of worms your puppy and dog can get, and how to get something out of your dogs stomach, if they swallow something. You will find some interesting ways to understand why your dog does some of the things he or she does, and why we love them. These are great books for kids to hold in their hands, and you can also let them learn how to read something for them on your Ipad or blackberry, or more. You can learn a lot about your puppy or dog, and learn some secrets to make your life much easier also maybe.